6 Things we I think all should have during our pregnancies. All these things have helped me in different ways but have all been a massive help during this pregnancy. Of course like everything during pregnancy make sure you ask your own OB or physio. 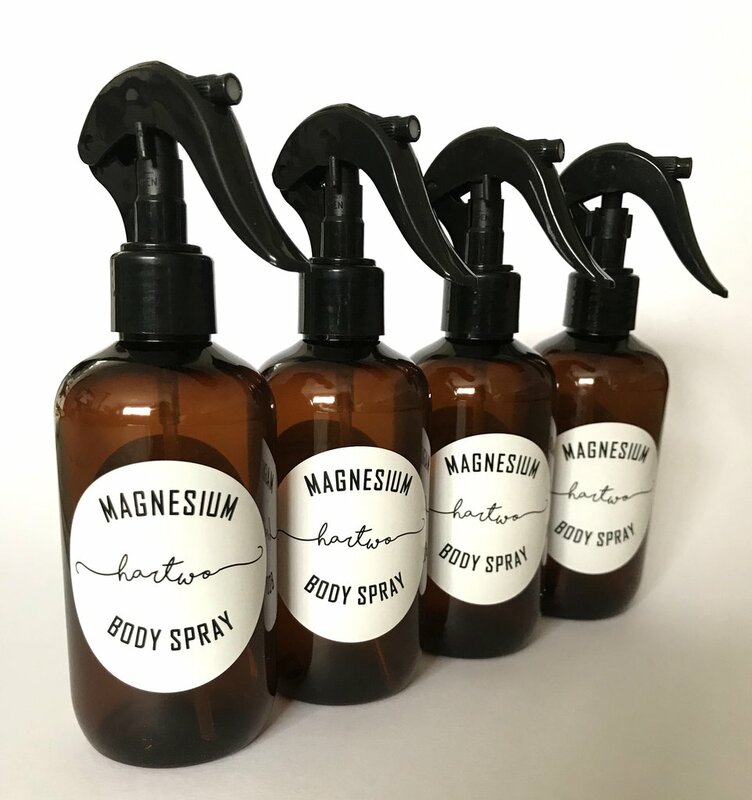 Magnesium is an essential vitamin for us especially when pregnant which you should make sure you're getting enough of in your diet (or you can take supplements - ask your OB) but what I love about magnesium is the oil is how effectively it works on aches, pains and cramping during pregnancy. I spray it on my lower back, hips and calves every night before bed and it definitely helps me to relax. I also use it when I've got specific aches and pains during the day. I was so skeptical of it at first but it seriously helps. The way it works is that it helps to relax your muscles. Its also great to aid with sleep for those who suffer pregnancy insomnia. I also love to have a warm bath with magnesium salts in the water after a long day if Im extra sore or crampy. I have been using these two brands over my pregnancy. Every pregnant mama needs to get themselves a comfy pregnancy pillow to help with getting comfortable in bed it takes the weight of the baby when you sleep on your side and also helps align your hips and back correctly for sleep. My pregnancy pillow is like my second husband and TBH gets more attention in the bedroom when I'm pregnant than my hubby actually does. haha. I've had this one since I was pregnant with Millie which I bought at baby bunting and love it. This has got to be one of the most commonly asked questions on my instagram stories - what app do I use to track my pregnancy? I have been using the OVIA Pregnancy app. Not only does this app tell you what size fruit or veg your baby is (Ive got a cauliflower in belly this week apparently) but it also gives you daily updates and advise, weekly growth tracking for you and baby and also has a calendar for tracking appointments, it also allows you to track daily your pregnancy symptoms, exercise, medication/vitamins and your water & food intake plus so much more. I found this very important in my first few months to track how many times I was vomitting, what I was eating or able to keep down, meds and track other HG related symptoms. Note: They also have a OVIA fertility tracking app which I used to help us when we were tryinf and one for parenting too. 4. Belly support band & SRC leggings. These are super important if you experience back and hip pain. The can help take the weight of your belly off your spine, help with instability in the pelvis and also help with any specific pains. I have tried a few and am currently wearing a SIJ specific belt that my physio gave me but there are some other ones worth checking out too. Two others I have used. I have always reccomended these tights/shorts for pregnancy for my training clients and also to invest in the recovery shorts for post baby too. Comfy yet supportive active wear is a MUST during pregnancy whether you're working out or not. I love soft yet supportive tights that come up over the bump now I'm late in my pregnancy and supportive sports bras that are made for maternity/breastfeeding to accomodate ever growing boobies. Find out what brands I love with my recent active wear in pregnancy blog HERE. Or you can shop my favourite Milk Boutique maternity crop HERE using discount "brittany". This pregnancy if Im not in my active wear I have lived in my stretchy maternity dresses - they've been so comfy and easy to style by themselves, with a knotted singlet or tee or a cropped jumper and they have accommodated my bump through my whole pregnancy. When looking for the right ones make sure you get ones with ruching down the side rather than the ones with the extra belly material at the front so they can grow with you but also be worn post pregnancy. I've heard you can also buy similar ones in Kmart and Cotton on if you're not looking for maternity specific or affordable pieces. This blog is not sponsored by any of these brands - just showing what I love and use.